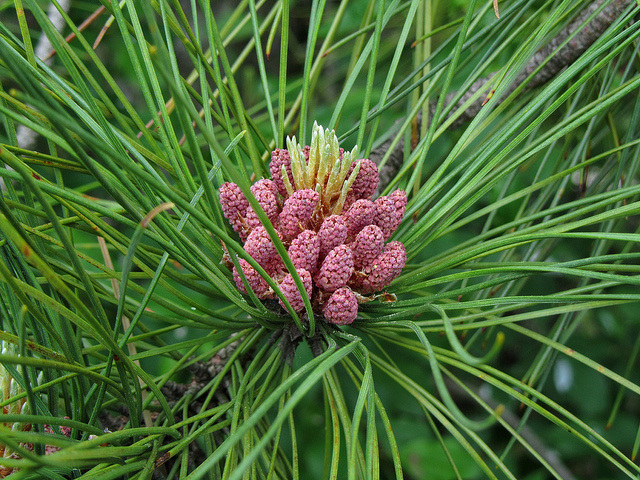 Red pine (Pinus resinosa) pollen cones; photo by Dane Vandeputte on Flickr (noncommercial use permitted with attribution / share alike). 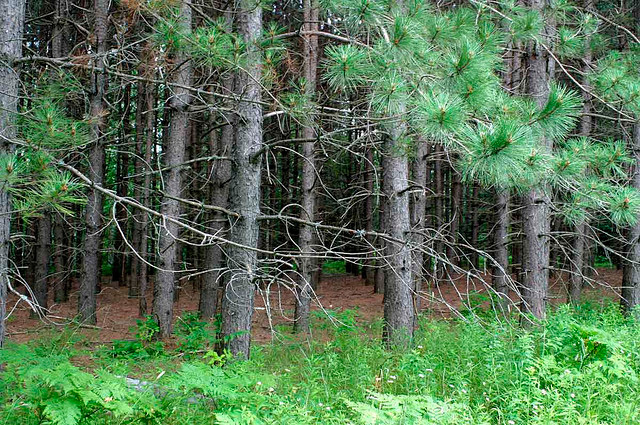 Commonly called Norway pine, legislation noted "the sturdiness and majesty of the tree, and how it helped lay the foundation for the wealth of Minnesota." 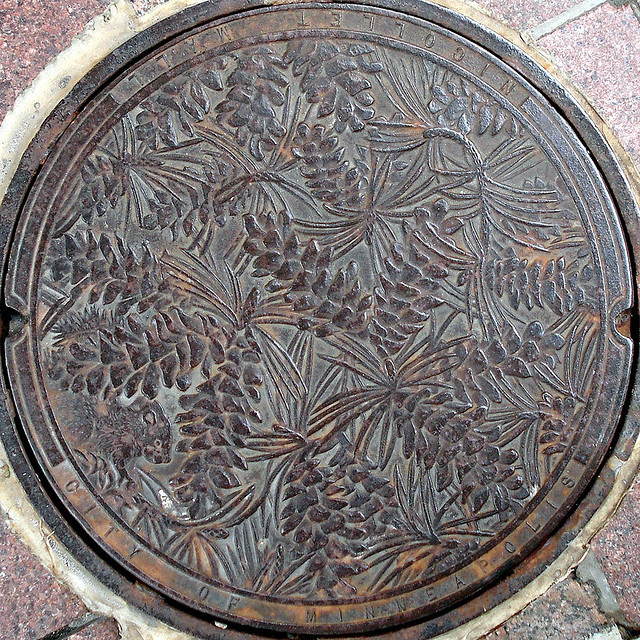 Red pine art in Minnesota: one of a series of eleven manhole covers in downtown Minneapolis designed by Kate Burke; photo by Tom Magliery on Flickr (noncommercial use permitted with attribution / share alike). Norway pine trees (red pine); photo by hyperboreal on Flickr (noncommercial use permitted with attribution / no derivative works).